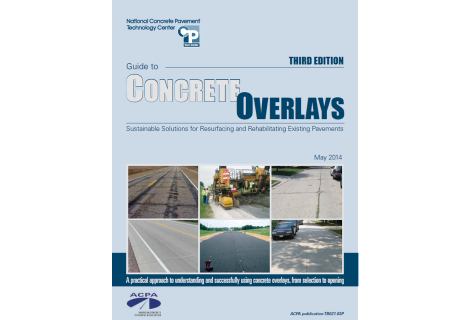 PDF courtesy of the American Concrete Pavement Association’s (ACPA’s) technical resources archives. 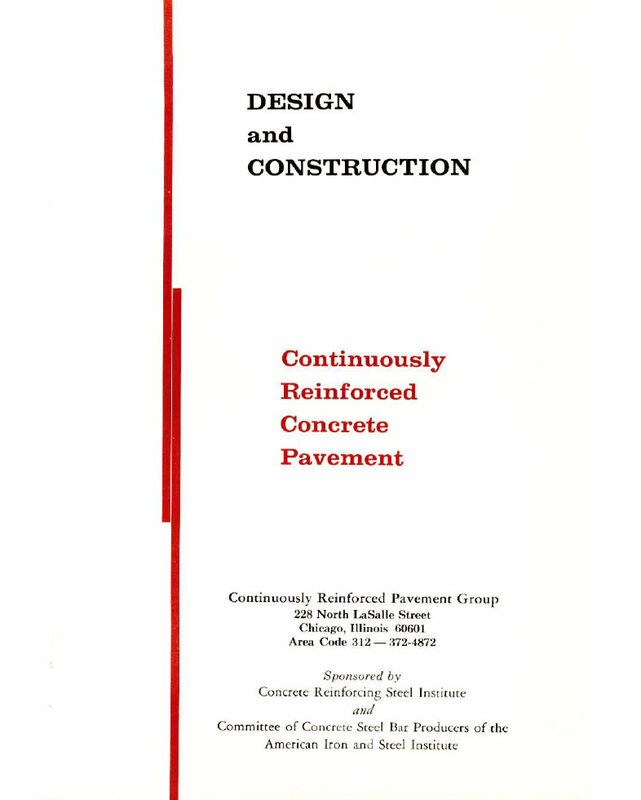 Continuously reinforced concrete pavement, commonly known as CRC pavement, is a portland cement concrete pavement with continuous longitudinal reinforcement achieved by lapping the steel. 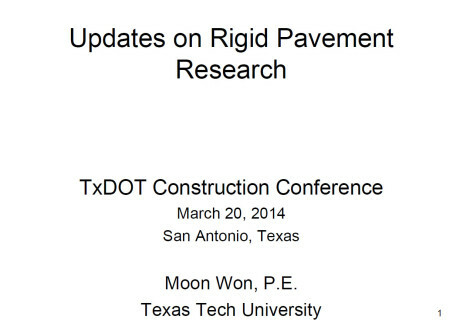 Such construction permits long stretches of pavement to be built without installing the traditional transverse joints. Successive joints in pavement are obstacles to comfortable travel. Moreover, they require maintenance and repairs which are costly and interfere with traffic. Over the years attempts to devise satisfactory joints to control cracking have been only partially successful. 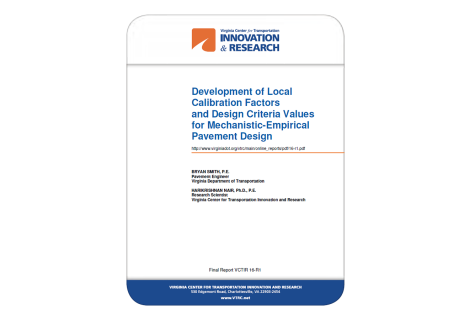 Both concrete and steel contract or expand under temperature changes. Fortunately, their coefficients of thermal expansion are virtually the same. The obvious solution to the joint problem is to eliminate joints by making the reinforcement continuous by lapping. In CRC pavement the cracks occur at close intervals but are kept small and tightly closed. The cracks are altogether harmless since their interfaces are held snugly together by the longitudinal reinforcement. Surface continuity of jointless pavement assures a smooth ride. Elimination of periodic cleaning and sealing of joints sharply reduce maintenance costs and irritating interference with travel. Service life of the pavement is materially lengthened. The remarkable features of CRC pavement combine to give it a lower annual cost than other types of rigid pavement or of flexible pavements of equal load carrying capacity. 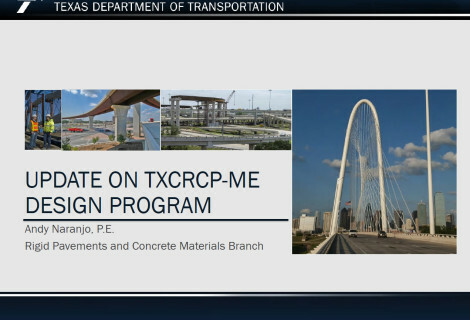 CRC pavement fits ideally into today’s demands imposed by increasing traffic and heavier vehicles on both highways and airport facilities. 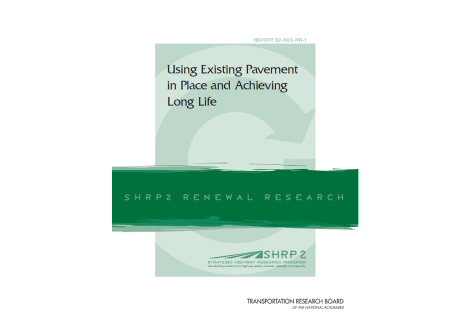 The use of CRC pavement is increasing at a faster rate than that of any other type. CRC pavement has a long experience background. The first known use of the principle of continuous reinforcement was a pavement built by the U. S. Bureau of Public Roads in 1921 on Columbia Pike near Washington, D. C. About 1925, the Illinois Division of Highways used continuous reinforcement in a half-mile section of pavement across a peat bog. In 1938, the Indiana State Highway Commission, in cooperation with the Bureau of Public Roads, constructed an experimental pavement which included several continuously reinforced test sections. The outstanding performance of those tests sections in Indiana, after nine years service, aroused the interest of several highway departments. 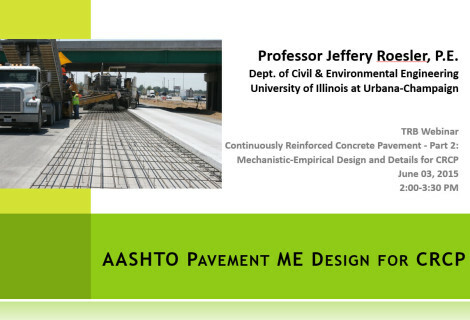 In 1947, experimental CRC pavements were constructed in Illinois (1) and New Jersey (2), followed by one in California (3) in 1949 and one in Texas in 1951 (4) (5). 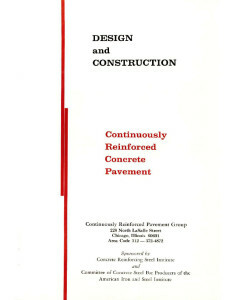 The cooperation of the state highway departments and the U. S. Bureau of Public Roads brought CRC pavement out of the experimental stage to acceptance as a standard type. The total of about 100 equivalent miles of two-lane pavement constructed or under contract by 1959 grew to nearly 4,700 miles by the end of 1967, as shown in Fig. 1 and Table 1. Because of its successful performance, even in severe climatic and soil conditions, half of the contiguous states have constructed CRC pavement. 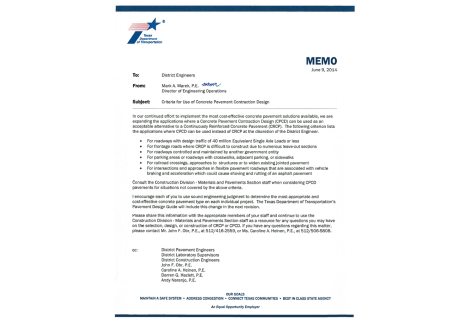 A growing number of states have adopted it as a standard type for the remainder of their Interstate System mileages and for parts of their other systems which will be subject to high volumes of heavy vehicles. 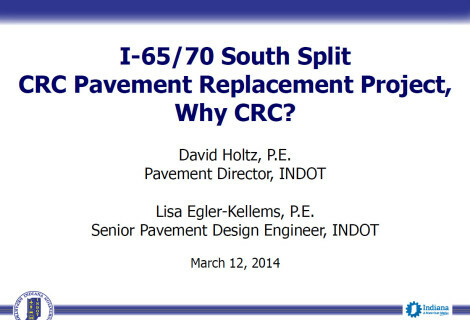 I-65/70 South Split CRC Pavement Replacement Project, Why CRC? 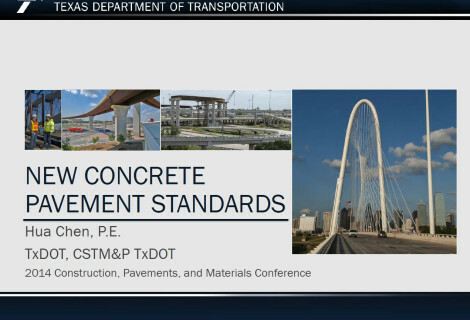 The Concrete Reinforcing Steel Institute (CRSI), in cooperation with the Federal Highway Administration (FHWA), supports this website to better educate pavement engineers, managers, owners, contractors and academia on issues related to CRCP.